High heat and humidity expected across the State this week. Albany, NY - July 15, 2013 - As temperatures are forecasted to climb into the 90s over the next week, Governor Andrew M. Cuomo today offered New Yorkers the following advice to safely battle the excessive heat. Slow down on strenuous activity and exercise, especially during the sun’s peak hours – 11 a.m. to 4 p.m. Exercise in the early morning between 4-7 a.m.
Eat less protein and more fruits and vegetables – protein produces and increases metabolic heat, which can cause water loss. Eat small meals, but eat more often. Do not eat salty foods. Drink at least 2-4 glasses of water per hour during extreme heat, even if you do not feel thirsty. Avoid beverages containing alcohol or caffeine. If possible, stay out of the sun and stay in air conditioning. The sun heats the inner core of your body, resulting in dehydration. If air-conditioning is not available, stay on the lowest floor, out of the sunshine, or go to a public building with air conditioning. If you must go outdoors, wear sunscreen with a high sun protector factor rating (at least SPF 15) and a hat to protect your face and head. When outdoors, wear loose-fitting, lightweight and light-colored clothing. Cover as much skin as possible to avoid sunburn and over-warming effects of sunlight on your body. Do not leave children, pets or those who require special care in a parked car or vehicle during periods of intense summer heat – temperatures inside a closed vehicle can reach over 140 degrees Fahrenheit quickly. Exposure to high temperatures can kill within a matter of minutes. Make an effort to check on your neighbors, especially if they are elderly, have young children or have special needs. Make sure there is enough water and food for pets and limit their exercise. Heat Stroke: Also known as sunstroke - can be life threatening. Body temperature can rise and cause brain damage; death may result if not cooled quickly. Signals include hot, red, and dry skin; changes in consciousness; rapid, weak pulse, and shallow breathing. Relief for lowering body temperature can be with a cold bath or sponge. Heat Exhaustion: Less dangerous than heat stroke, heat exhaustion usually occurs when people exercise too heavily or work in warm, humid places where body fluids are lost. Signals include cool, moist, pale or flushed skin; heavy sweating; headache; nausea or vomiting; dizziness and exhaustion. If symptoms occur, get the victim out of sun, and apply cool, wet cloths. Sunburn: Sunburn slows the skin’s ability to cool itself. Signals include redness and pain; in severe cases, swelling of skin, blisters, fever, and headaches can occur. Ointments can be a relief for pain in mild cases. A physician should see serious cases. Heat Cramps: Muscular pains and spasms caused by heavy exertion. Loss of water and salt from sweating causes cramping. Signals are abdominal and leg muscle pain. Relief can be firm pressure on cramping muscles, or gentle massages to relieve cramping. Power outages are more likely to occur during warm weather, when utility usage is at its peak. To avoid putting a strain on the power grid, conserve energy to help prevent power disruptions. Set your air conditioner thermostat no lower than 78 degrees. Only use the air conditioner when you are home. Turn non-essential appliances off – only use appliances that have heavy electrical loads early in the morning or very late at night. For more information, visit State OEM’s Heat Safety Tips at http://www.dhses.ny.gov/oem/safety-info/publicsafety/heataware.cfm. For information on New York City, including city cooling centers, visit: http://www.nyc.gov/html/oem/html/hazards/heat.shtml. To receive up-to-the-minute weather alerts in your area, sign up for free today at www.nyalert.gov. Beat the Heat - Cool Places to Chill Out on Long Island! 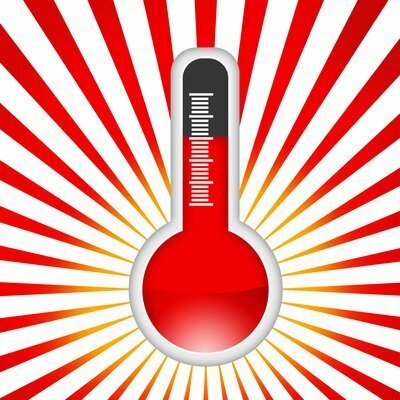 Subject: LongIsland.com - Your Name sent you Article details of "Governor Cuomo Issues Heat Advisory as High Temperatures and Humidity Expected across The State This Week"